The “Game of Floods” is an exercise in collaboration, making tough decisions, and managing community resources. Students at Woodside High work together to develop an adaptation strategy, May 2018. Developed by the County of Marin, the Game of Floods is an educational game on sea level rise adaptation, including traditional flood protection measure, nature based shoreline protection approaches, and policy/zoning changes that may be need to adapt to rising sea and changing shorelines. In the game, small groups are tasked with developing an adaptation strategy for a community that will experience sea level rise and increased storm impacts causing the loss or deterioration of homes, community facilities, roads, agricultural land, beaches, wetlands, lagoons, and other resources. 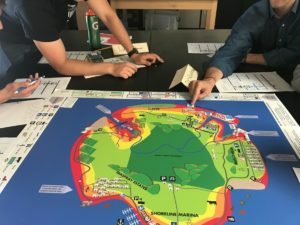 The game can help foster collaboration and provide a deeper understanding of the environmental, economic and social choices that communities will face in preparing for sea level rise. Redwood City Leadership Program, April 2018. The Game of Floods can be played at public workshops, high schools, and community group meetings. 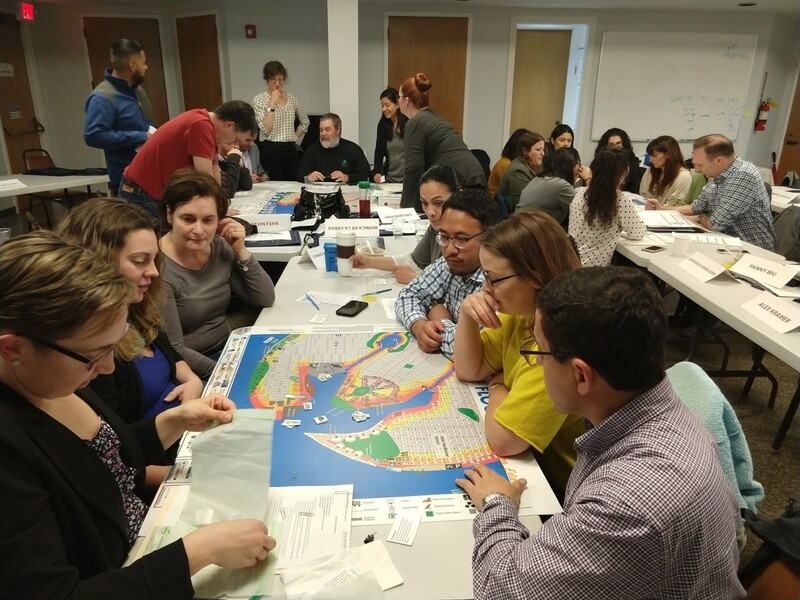 If you are interested in hosting a Game of Floods event in your community, receiving facilitation assistance or a sea level rise presentations for your group, please email seachangesmc@smcgov.org.